Our Colorado: What's with all the storage facilities going up in Colorado? Do you feel like you've seen a bunch of storage facilities open up recently? It's not just in your head — the storage facility boom is a real thing in Colorado. Editor's Note: 'Our Colorado' helps us all navigate the challenges related to growth while celebrating life in the state we love. To comment on this or other 360 stories, email us at OurCO@TheDenverChannel.com . See more "Our Colorado" stories here . These days, storage facilities are hard to miss. It seems like a new facility has either just opened or is currently under construction in the Denver metro area. 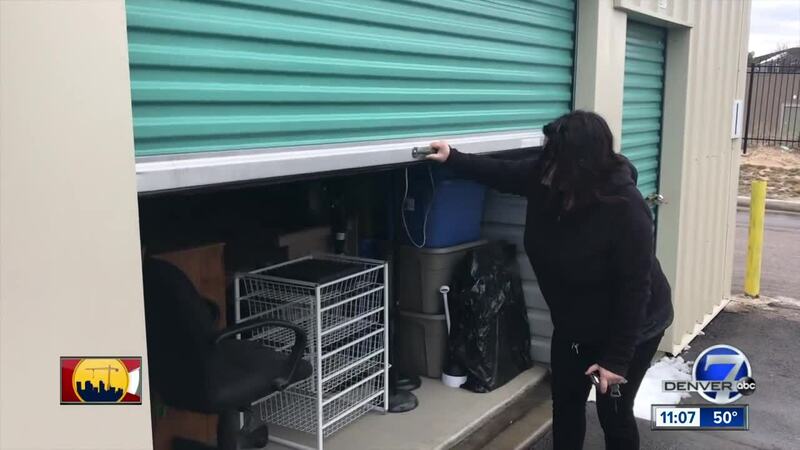 It turns out the storage facility boom is a real thing. According to research group Sparefoot Storage Beat , the self-storage market has become a $38 billion business with 45,000 to 52,000 storage facilities across the United States. Our growing Colorado is playing a huge role in the surge. "The need for storage is closely connected to moving, and people living in apartments move more frequently," said SpareFoot's Alexander Harris. "They also have smaller spaces to keep their stuff so they resort to storage units. This is certainly the case with Denver." Courtney Freeman, from Aurora, just recently moved back home with her parents. She has been trying to buy her first home, but it's just too expensive. "I’ve been finding that condos are almost just as expensive as just a small single-family house, which is just insane," Freeman said. Randi McKnight lives in Aurora, right next to a new storage facility. "The storage units are making a bundle, but I think they’re really an eyesore," he said. "'It’s a necessary evil,' is what I would say. I realize that people can't afford housing in Colorado anymore." Harris said Denver is part of a nationwide trend of self-storage construction that has been going on for the last five years. After the recession, financing dried up for construction and no one was building self-storage. As population growth continued this eventually led to a shortage of self storage units and increasing prices in many cities, including Denver. Once financing was available again, developers and storage operators started to build to make up for lost time. According to SpareFoot, supply is slowly starting to catch up to demand in Colorado which means 2019 could be the tail end of the local storage facility boom.